We specialize in Residential & Commercial Electrical Repair & Services. From Security Lighting, Hot Tub & Sauna Wiring, Circuit Breakers, Build Outs, Pole Lighting…to Outdoor Lighting and much more! You can find our professional electricians in Arlington, Alexandria, Fairfax, Fredericksburg, Prince William, Stafford, Spotsylvania, Vienna, Virginia, Washington DC, Maryland, and the Woodbridge areas. We have made it easier than ever to schedule an appointment with us! We know the importance of a thorough bid based on your inquiries and are more than happy to accompany you with this during your appointment. Top Electricians in Arlington VA, Washington DC, Maryland, and Northern Virginia! We are here to help inform you on your Residential & Commercial Electrical Repairs and Services. We consult commercial businesses and home owners alike on what you can do to maximize and save energy while increasing the comfort level in your business or home. Our professional, certified electricians have over 35 years of experience in all types of electrical services and equipment! When you have a question or inquiry about any electrical repair and services that apply to you, we provide the answer by discussing the most energy and cost efficient solutions available. Our dedicated and committed electricians are readily available 24 hours a day, 7 days a week, and guarantee your complete satisfaction! 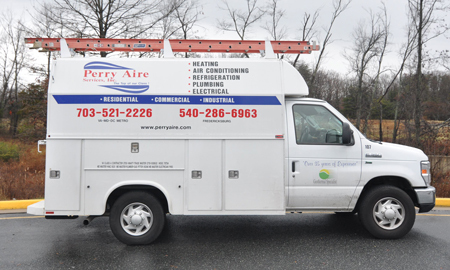 Call Perry Aire Electric at 703-521-2227 and get a quick estimate for your electric service inquiries from our electricians in Arlington Virginia, Washington DC and Maryland! At Perry Aire Services we use the highest quality electrical products based on your electric repair and service needs!